NEW YORK (WFAN) – So much has already been said about the Yankees this off-season. Apparently, not enough. Enter Hank Steinbrenner. Steinbrenner gave his two cents to the New York Post about what the Bombers need to do in 2011. Yankees general manager Brian Cashman made waves on Tuesday morning during his “Breakfast with a Champion” appearance with Mike Francesa. According to Cashman, Joba Chamberlain will not return to the starting rotation, instead the fiery reliever will remain in the bullpen. There’s the Steinbrenner voice we all know and love. Hank is Back! Who brought Soriano to the Bronx? Yesterday, the Yankees finally made a splash in the free-agent market, signing the best reliever on the market in Rafael Soriano. Signing the all-star closer definitely takes care of the 8th inning spot, so we can cross that off the list of needs heading into 2011. 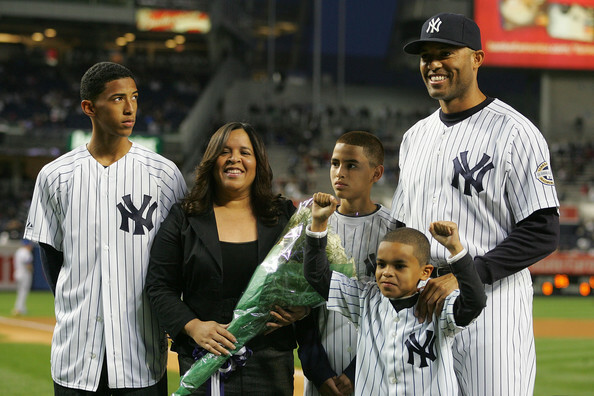 If the contract runs full term, then the Yankees have also addressed the question of who takes over for Mariano Rivera when the future Hall of Famer decides to retire. In all, I like the signing; although the contract is probably a bit too player friendly. Let’s take a look at the other reasons many are wondering who actually pulled the trigger on the deal. The contract is extremely player friendly. Not only does it make Soriano the 3rd highest paid reliever in MLB (behind Mo and Francisco Cordero), it gives him the option to opt out after years 1 and 2. In other words, this could be a 1 year deal for $10M, a 2 year deal for $22M or a 3 year deal for $35M. Given Cashman’s known reluctance to pay out big dollars to relievers, his reluctance to spend on anyone this winter and his absolute abhorrence to player friendly contracts (see Jeter, Derek or Rodriguez, Alex), you have to wonder why he would throw that kind of money or those terms at Soriano. The Yankees have taken a beating in the tabloids for, well, basically standing pat this off-season. Cashman seemed content to avoid signing anyone of consequence, even as the Red Sox, Orioles, Phillies and even the Nationals have gone all-out to improve their teams. Despite the team’s obvious need for starting pitching, he never made a play for Zach Greinke and according to published statements, quickly gave up on acquiring Matt Garza. Cashman may be made of teflon in terms of criticism, but a certain member of the ownership group isn’t. Cashman’s history in the FA market is to make runs at the consensus best player available (like CC Sabathia or Mark Teixeira) or try to find diamonds in the rough (Nick Johnson, Marcus Thames from last season). He doesn’t really have a history of targeting a big name to fill a limited role. Soriano’s agent is Scott Boras. Like most GM’s, Cashman normally treats Boras – and his clients – as if they have a combination of leprosy and bubonic plague. That he would suddenly, in less than week’s time, go from “we’re not surrendering a 1st round pick” to handing out a player friendly contract to Boras is really hard to fathom. In other words, this looks a lot more like Hank Steinbrenner pulled the trigger on this deal than Cashman. Hank is like his father in many ways: not afraid of dealing with Boras, willing to hand out player-friendly contracts and hates the Yanks being upstaged by anyone. So, here’s the question of the day: who do you think was most responsible for signing Rafael Soriano, and what do you think it means for the future of the front office? Let us know! 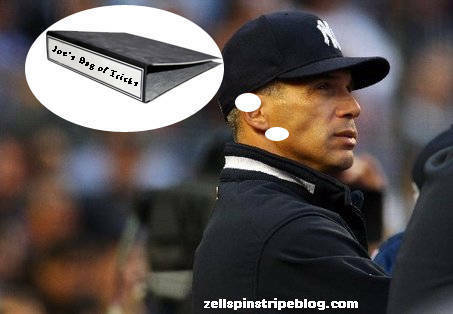 Is Joe Girardi hitting the panic button? For those of you who haven’t heard, the Yankees made a late pitching change today – before tonight’s tilt with the Red Sox even begins. Mr. Philthy is taking his regular turn tonight, while scheduled starter Dustin Moseley is relegated to the bullpen. Throughout September, Girardi has stressed health over winning. Today, he sounded a new tune: “We need to win games“. The Yankees September record is 10-13. Had they played the entire season this way, the team would sort a record of 67-88. On August 31, the Yankees had a 1 game lead over Tampa Bay. They enter tonight’s game with a 1 1/2 game deficit. On August 31, the Yankees had the best record in MLB. Today, the team has dropped to owning the 4th best record. Entering last weekend, the Yankees seemed as if they could, at the least, coast into the wild card. Entering the final week of the season, they face the very real prospect of getting swept by Boston – and swept out of the playoffs. A Hank Steinbrenner sighting. Hank attended a news conference for Hanks’ Yanks, which is the 18-and-under team that he sponsors. In his first public appearance since the death of his father, George, on July 13, Steinbrenner, 53, said that the direction of the professional franchise would not change with his father gone: winning comes first, always, as it had when George was the principal owner. He also made a not-so-daring prediction that the Yankees would make the playoffs, but he declined to discuss the future of Manager Joe Girardi, whose contract expires after the season. Reggie Jackson was considered to play the role of Geordi La Forge on Star Trek: The Next Generation. Former Yankees manager, Joe Torre, was apparently approached about buying part of the LA Dodgers. “I get people who make all kinds of suggestions all the time, and especially with the mood of everything going on around here right now it’s not surprising,” said Torre. And though skeptics claimed Diaz’s relationship with Alex Rodriguez was just a fling, it turns out they’re well-matched for each other. Dan Cunnigham’s daily routine. Cunnigham is the head groundskeeper at Yankee Stadium. Playing ball with A-Rod, Swish and C.C.